I grew up on Long Island in New York in the 50s and 60s where I showed Equitation and hunter/jumpers. I was was certified by the Potomac Horse Center, MD. in 1968 and have taught riding for 44 years. I’ve taught all types of riding and trained many different kinds of horses. I’m the director/owner Fox School of Horsemanship, which was est. 1969. I’ve been a United States Pony Club Instructor for 35 years. I’ve held a lot of positions in Pony Club including USPC Regional Supervisor, and VRS, USPC Regional Instruction Coordinator, USPC District Commissioner, Regional Camp Director, Pony Club Examiner, course designer and event organizer. I believe United States Pony Club is the best equestrian youth organization in America today. My goal in teaching is to instill strong basics in students so they can build on the foundation to be successful and independent horsemen and women. The complete horseman knows how to thoroughly care for his/her horse and equipment, in addition to riding. All horsemen can be thinking riders who understand the theory and principles behind what they do. Once the foundation for good horsemanship is established, a person can follow any style of riding whether it be show jumping or reining or trail riding The happiest horsemen and women are those that are well grounded and can continue to ride for a lifetime. Riding is one of the few sports that has no age limits. 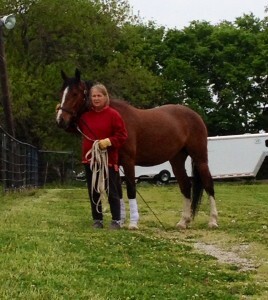 My passion is horsemanship history. There are treasures in the origins of U.S Horsemanship that will always be valuable to equestrians. We have a proud heritage that came from Fort Riley, the finest Cavalry School in the World. Fort Riley Cavalry School was the equestrian “think tank” of it’s day and men like, Guy Henry and Harry Chamberlin were at the right place and the right time to develop the roots of good horsemanship in the United States. Those of us who have lived in the MidWest have had the honor of being exposed to the real thing. 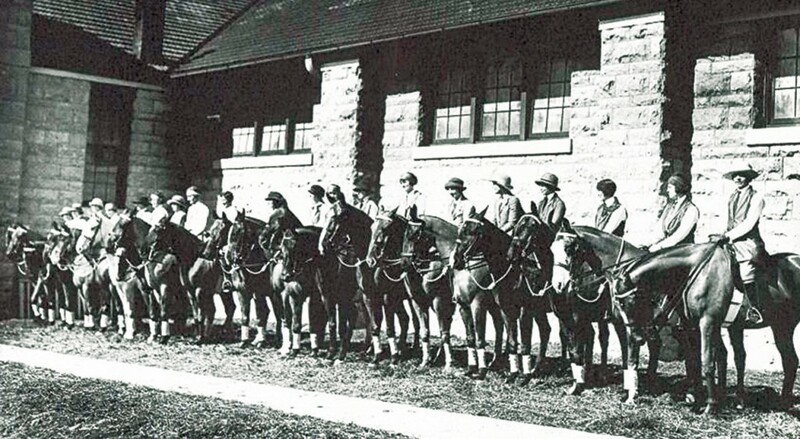 The Fort Riley Ladies’ Riding Club poses for a picture in the late 1920s outside of Wells Hall at Fort Riley. Many of the wives of cavalry officers shared their husband’s love of horses and riding. Outside of Fort Riley, we have other horsemanship histories, such as the sports that developed out of ranching, the Native American way with horses, the horse whisperers, women with horses, the plantation riders, the cowboys etc. These are all areas I would like to include in time. This, and other projects, are my attempt at contributing to the preservation of U.S. Horsemanship history, making it available to a new generation of horse-lovers. Have you developed a series of Riding Lessons for Beginning Riders? Thank you for your inquiry. Currently I’m working on a series of lesson plans for beginners. It will be ready soon. In the mean time, you might like to take a look at my teaching blog The Riding Instructor http://theridinginstructor.net . The blog has a lot of ideas for both instructors and students. When the lesson plans are completed, I’ll post a memo on both blogs. I’m interested in recertifying as a riding instructor. I graduated from The Potomac Horse Center in ’74, and have taught riding off and on over the years. What suggestions do you have for a school where I may update my certification. Thanks very much! I’m really enjoying your newsletter! I’m stumped with your question. I’m not aware of the existence of any schools like Potomac in 2015. The U.S. has gone towards certifying in disciplines (USDF, USEA, USHJA) or with independent groups (Aria, CHA etc). When my daughter wanted to certify she went to England and studied at Talland School of Equitation. I don’t know who was at Potomac in ’74 but when I attended in’67 the instructors, Betty Howett and Collette Stephens were FBHS (Fellows of the British Horse Society) and the program at Potomac had been guided by Molly Sivewright – founder of Talland. The BHS has a wonderful system of certification, I really wish I had more to offer you on this topic.